Ebony and ivory make a beautiful pairing in this ring from Apples of Gold. 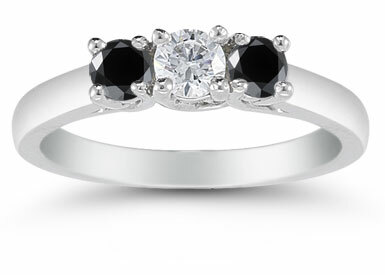 This three stone ring sets contrasting diamonds together. The center holds a brilliant white diamond which measures 0.25 total carats, while the two side stones are black diamonds measuring 0.30 total carat weight. 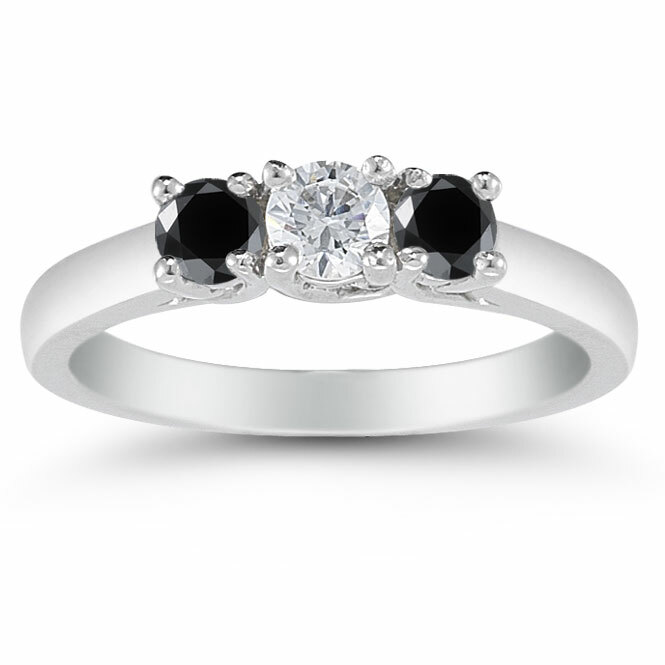 This setting makes a bold combination of black and white creating an eye-catching ring. Each diamond is mounted in high quality white gold, providing a clean setting for the stones. The band is equally lovely with plain white gold polished to perfection. We guarantee our 1/2 Carat Three Stone White and Black Diamond Ring, 14K White Gold to be high quality, authentic jewelry, as described above.